At 5’10”, Laura towered over all her friends in high school. She was unhappy with her body and turned to fast food for comfort, ordering thousands of calories’ worth of burgers, French fries, and soda at lunch. (Learn the shocking truth about fast food here). 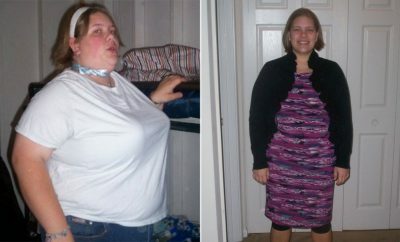 Four years after graduation, she was up to 300 pounds. After a few weeks of physical therapy, Laura started walking on the treadmill in her parents’ living room for 15 minutes a day. She kept at it for months, eventually tacking on core-strengthening exercises using an ab roller. “I was just getting bored with my routine when a friend gave me a guest pass to her gym,” she says. On a whim, Laura tried a cardio kickboxing class. “I was hooked after the first one! I loved the music, the choreography, and the energy boost I got for hours afterward,” she says. Soon she was going every two to three days—and dropping about 2 pounds a week. 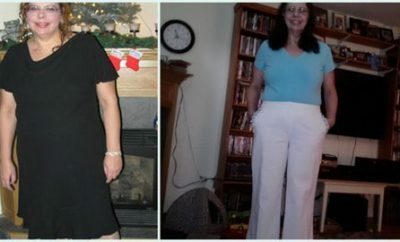 She also learned how to satisfy her fast-food cravings the healthy way at home. “Instead of splurging on a cheeseburger, for example, I’d grill a veggie burger and put it on a whole-wheat bun with reduced-fat cheese,” she says. 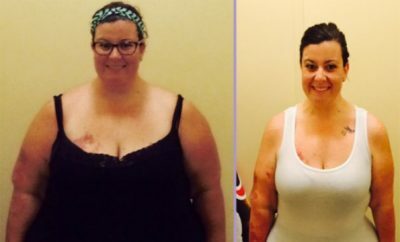 “And to avoid the drive-through in the morning, I set my alarm a few minutes earlier so I’d have time to eat a bowl of cereal.” By making these simple tweaks—and snacking on fruit and fat-free microwave popcorn between meals— Laura was able to get down to 180 pounds after a year. 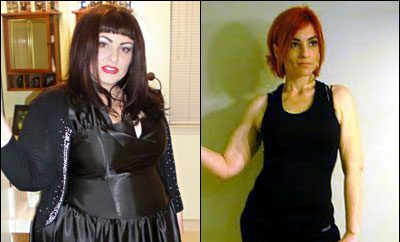 RELATED: Reality Stars Spill: "How I Lost the Weight"